A harmonic balancer is a front end accessory drive component that is connected to the crankshaft of an engine. 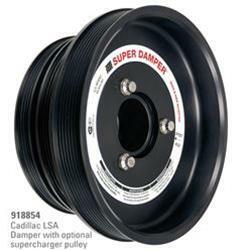 The purpose of the harmonic balancer is to reduce engine vibration and in many cases, serve as a pulley for drive belts. Do it like a BOSS! Make your engine faster and more powerful!